Hello Club Q fans, I can totally see why you would fall in love with March’s Club Q.
Neva here today to share with you how I stretched the contents of the March Ultimate Combo kit into seven layouts! When I opened my kit, I was delighted that it featured the new Spring Showers, as the coordinating side not shown in the Club offering is all these lovely floral motifs. Along with the more masculine diamond pattern, I planned to make coordinating Mother and Father Day layouts. 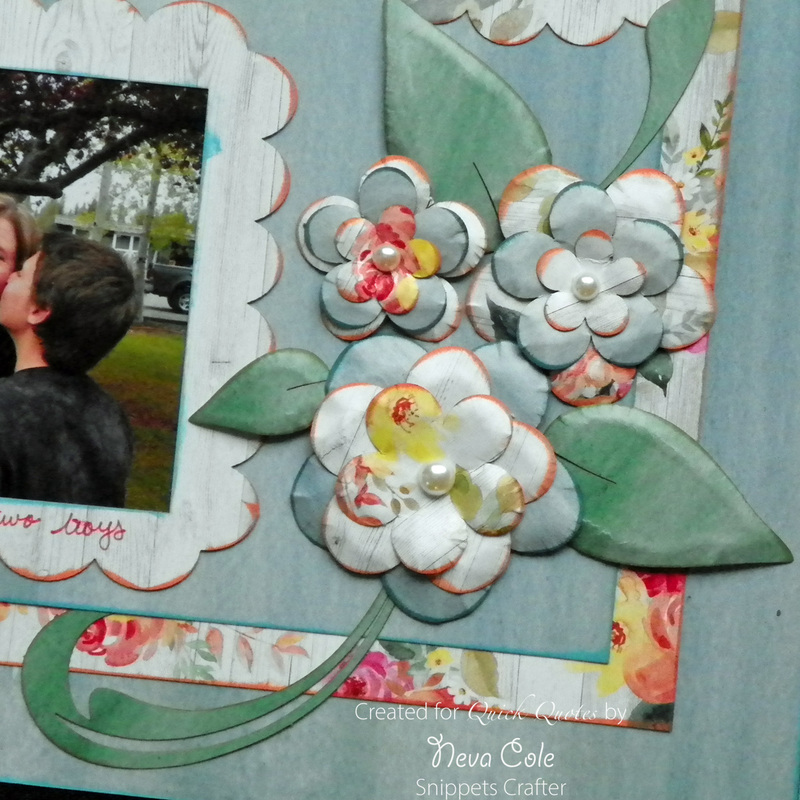 First up is the layout that will go in my album for Mother’s Day. The centers of the blue sheet and floral sheet have been trimmed to be used as the center mat. With the double mat layout, it is all hidden! 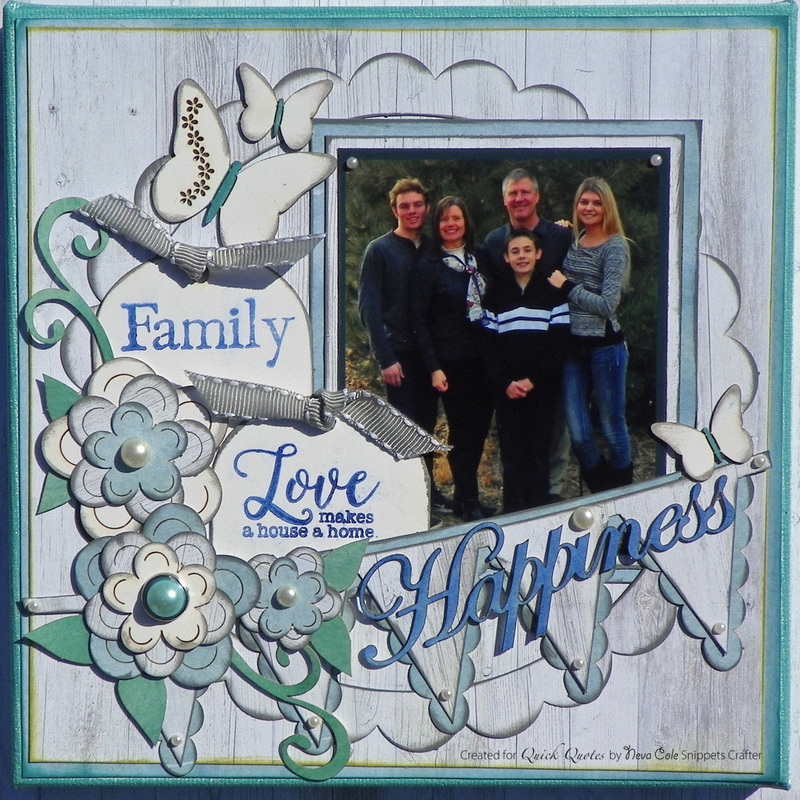 Smaller accent photos are matted with the center of the die cut circles as well as circle die cuts from additional paper in the kit. The title is stamped in Capri Blue on vellum timmed to the banner shape, and heat embossed with iridescent embossing powder. Capri Blue and Island Orange are used to ink the layers. The flowers are shaped slightly before adhering to the layout. The vellum adhered with glue behind the stamped area and the right edge under the circle. All the photos are journaled on the frame edges. Next I created layouts that will go into my boys’ albums. As you can see, even though they feature different Spring Showers papers they coordinate beautifully. 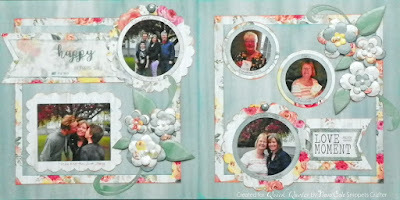 The design and colors are similar, a great feature of scrapping with a kit! Mother’s Day photos are journaled on the frames. Father’s Day photos are matted and have small journaling strips. A shaped frame from the kit is trimmed into two sections. The sentiment is stamped in Capri Blue on vellum and is placed over the center tag. The shaped frame is adhered over the top. 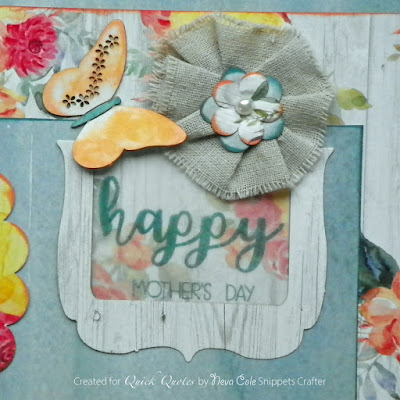 A die cut butterfly is inked in Capri Blue and Island Orange. I think these two elements hide the “unfinished look” of the top edge of the title and add a nice balance to the layout. 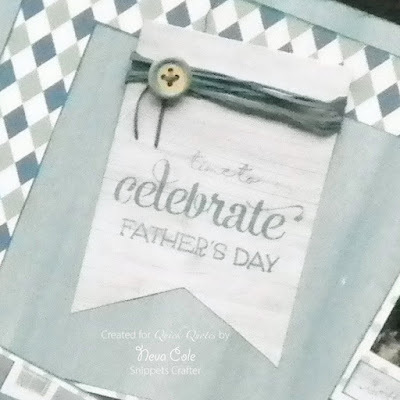 The Father’s Day title is less involved and decidedly more masculine! The sentiment is stamped in Capri Blue. Raffia is wrapped around the top of the banner. Thin sections of raffia are threaded through the button and it is adhered over onto the banner. 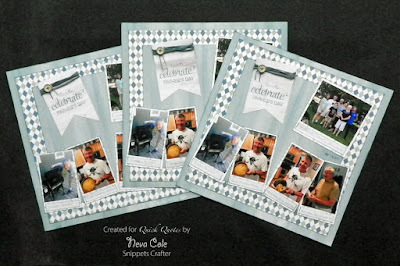 Yes, I did scrap three identical layouts for Father's Day, one for my album and one for each of the boys' albums. With careful trimming I was able to use the two layout kits and the mini album kit to have enough matching papers! 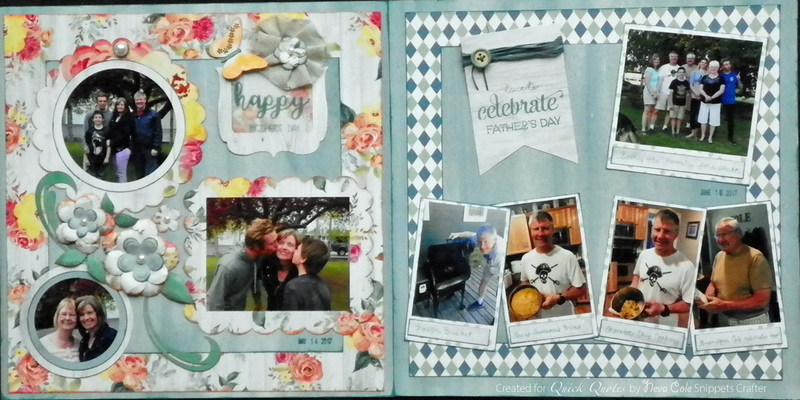 Here are the two single page Mother's Day layouts I created for my boys' albums. They may not appreciate girly layouts in their scrapbooks right now, but I know they will appreciate having these photos in years to come. I have one more layout that I will share in a future post, to finish off the Ultimate Combo kit. This is what I have left over . . . perhaps a card or two? It is fun to finish off a kit, and know that you really spent your money well! My favorite part of the March Ultimate Kit was the altered Canvas. I used the photo from our photo Christmas card greeting sent out for 2017 and the colors for the canvas were perfect! I switched the large blue paper for the layouts above, but center section trimmed from behind is large enough to make the canvas. 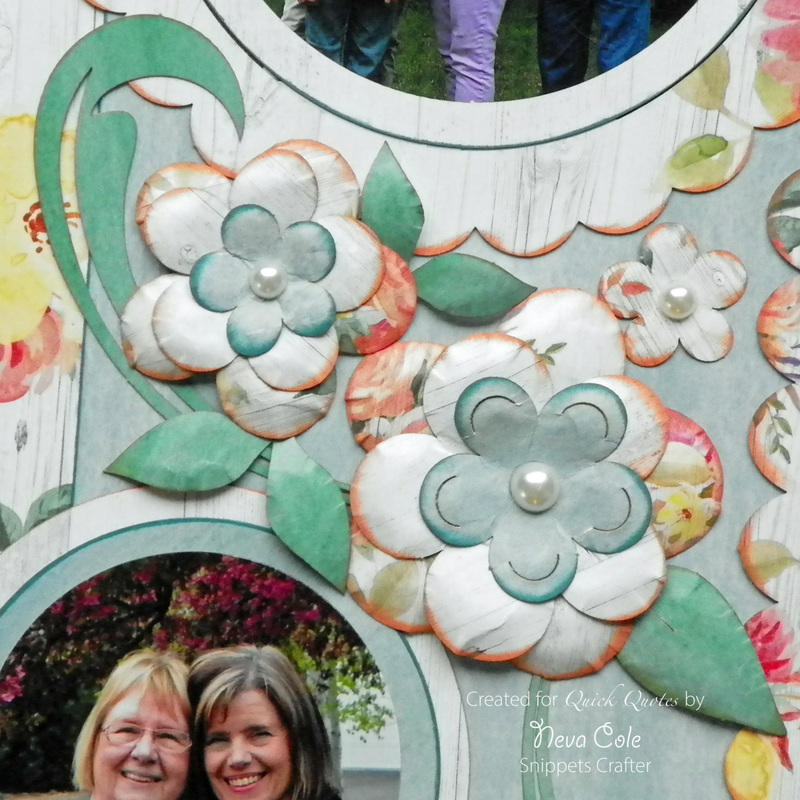 The photo mats were adjusted to fit the photo I choose for the canvas. I also used up the rest of the pearl embellishments to add a little extra bling. This is now proudly hanging in my home! 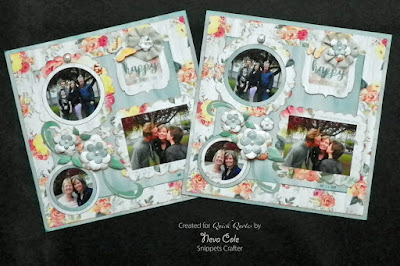 By mix and matching from all four kits I was able to create duplicate layouts in record time. 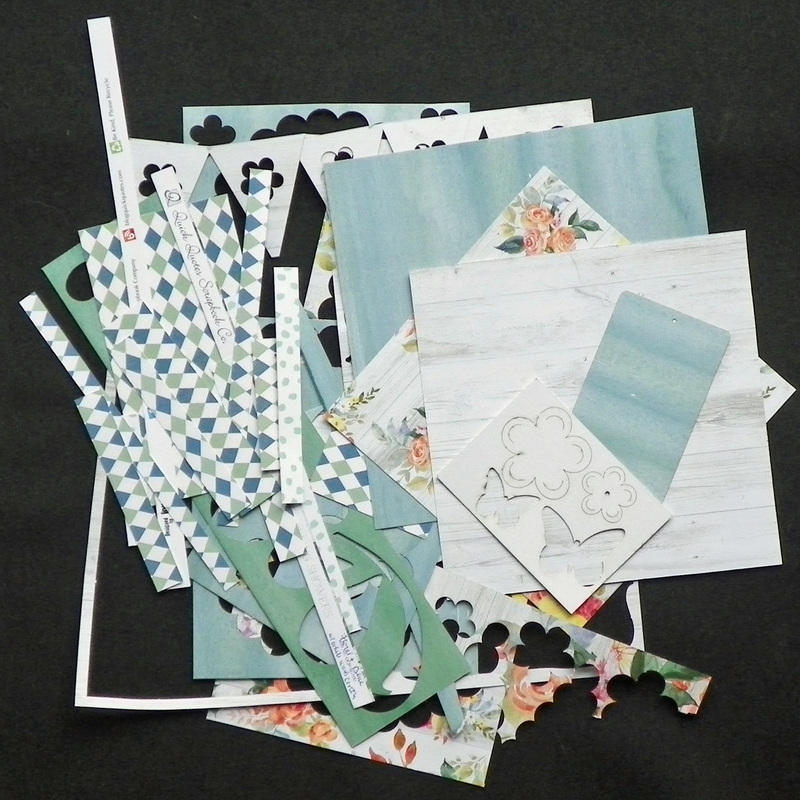 Thanks for stopping by today and see what you can create from the B side of the Club Q kits! Happy Birthday by Ms. Sparkle and Co. Thanks for stopping on over today for a visit!